Finally, the Tourient Express is down to it’s last passenger. 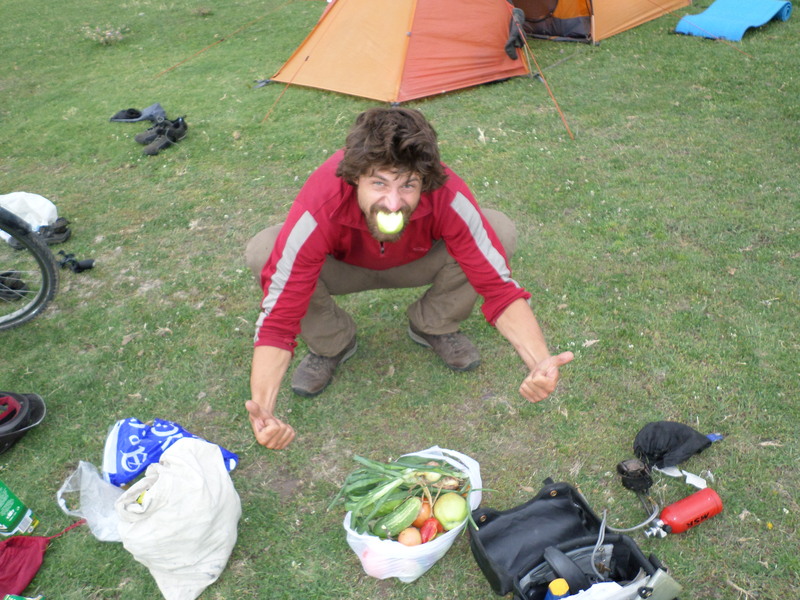 Josh has now made his way to Almaty and, for him, the cycling has finished. Amazingly, he has promised to write his inaugural, and final, blog post in the coming days. Therefore, I don’t want to spoil it by revealing his plans beforehand. However, I will say that, over the next few weeks, he is going to playing a lot of Pokemon, eating a lot of Sushi, and doing a lot of Karaoke. Probably simultaneously. Following Andrew’s extraordinary rendition at the hands of Mike (Congratulations, by the way! 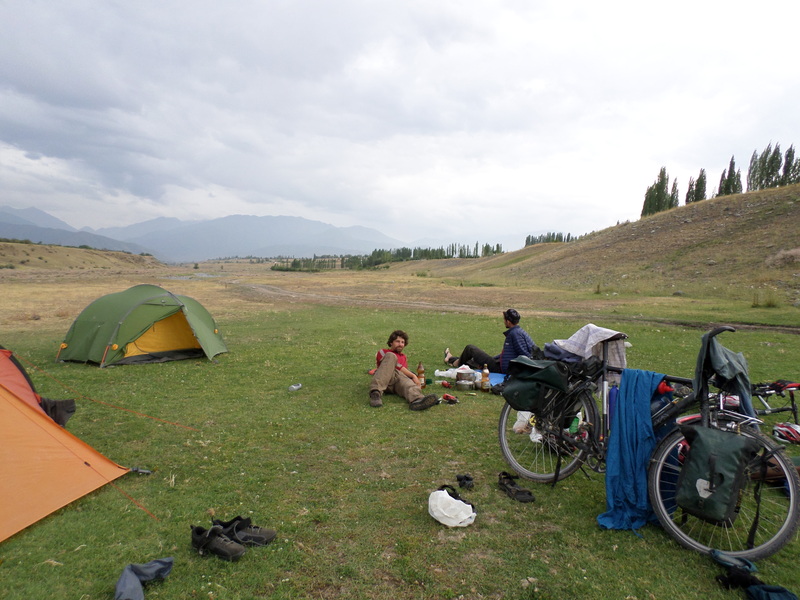 ), Josh and I continued northwards, towards Bishkek, the capital of Kyrgyzstan. In a straight line, this would be a few days cycling, but there are some rather big mountains in the way. Therefore, the road winds around for 700 kilometres and the journey also includes two passes above 3000 metres. Unsurprisingly, this road made for some challenging cycling. 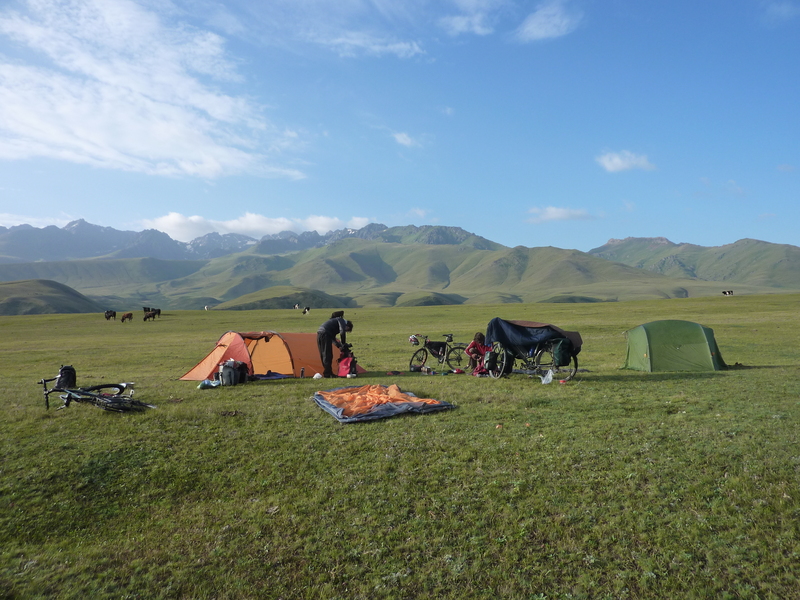 The first few days out of Osh were fairly relaxed as we rolled through agricultural areas. However, the first pass turned out to be the largest (unbroken) climb of the entire trip. Over 50 kilometres we ascended 2100 metres. This wasn’t even a real pass, according to our map. 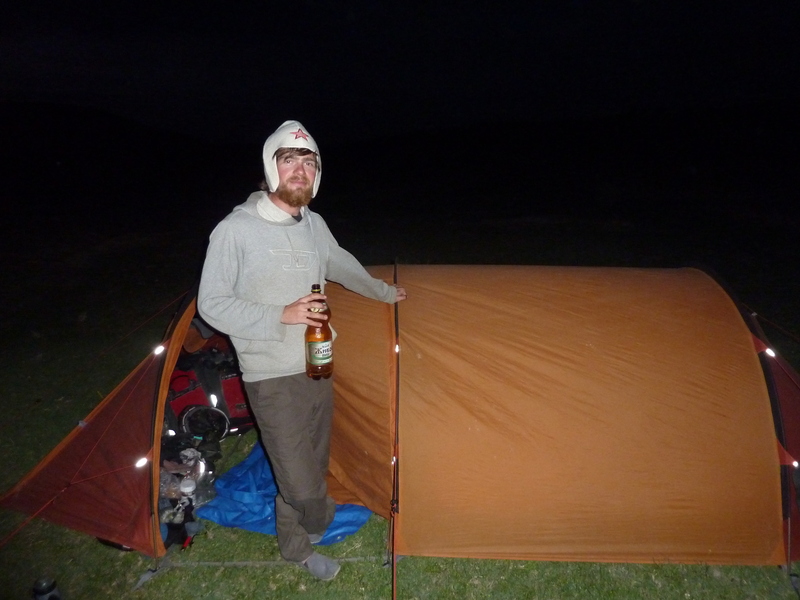 In the remote valley between the two passes, we found Andrew’s replacement: Johannes. Johannes was (and still is) a rather crazy German with a quirky sense of humour and a suitably bedraggled appearance. He turned out to be cycling the same route as us and we agreed to cycle to Bishkek together. Thus, two became three again. Unfortunately, the weather decided to punish this new addition to the Tourient Express and torrential, freezing cold, rain poured down on us as we ground our way up towards the second pass. In fact, the weather throughout the mountains of Kyrgyzstan was poor, which was a shock after the dry weather of The Pamirs. However, the rain on this climb was particularly frustrating because, instead of stunning views of the surrounding peaks, all we got was a blanket of thick grey cloud. 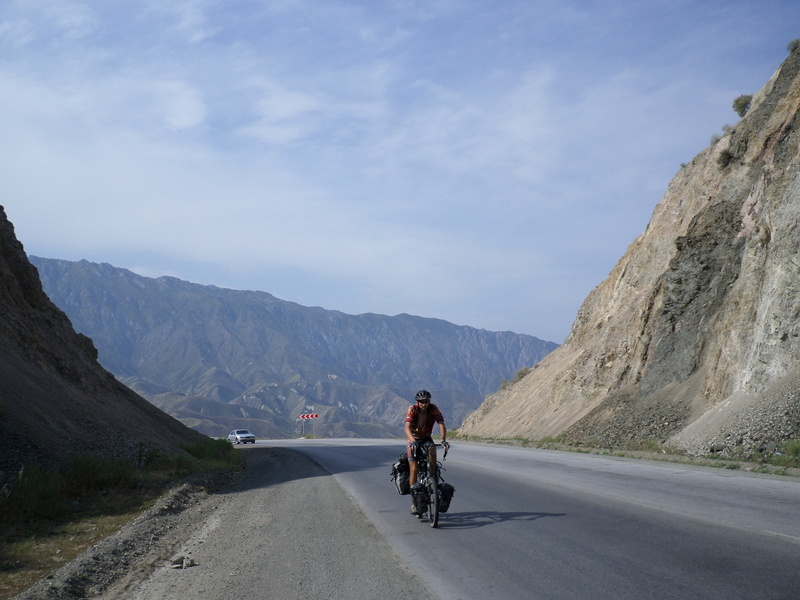 After Johannes had further proved his insanity by cycling through a narrow, three kilometre long tunnel, clogged with exhaust fumes (We hopped on a bus), we began a descent that stretched most of the way to Bishkek. 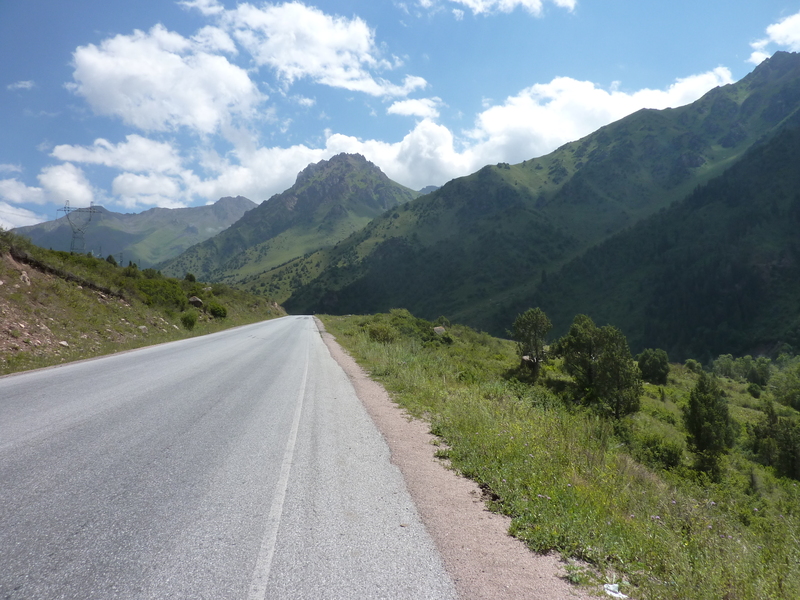 The pass was at 3500 metres, whilst Bishkek is only at 700 metres, so we had 2800 metres to lose. The upside of this was that we didn’t have to pedal for most of that afternoon. The downside was that we had to pile on more clothing than any of us had worn since leaving Germany because the rain was threatening to freeze us to our bikes. Even after this, it was still a hair-raising descent that was made all the more difficult by having to squint through the rain and cloud. 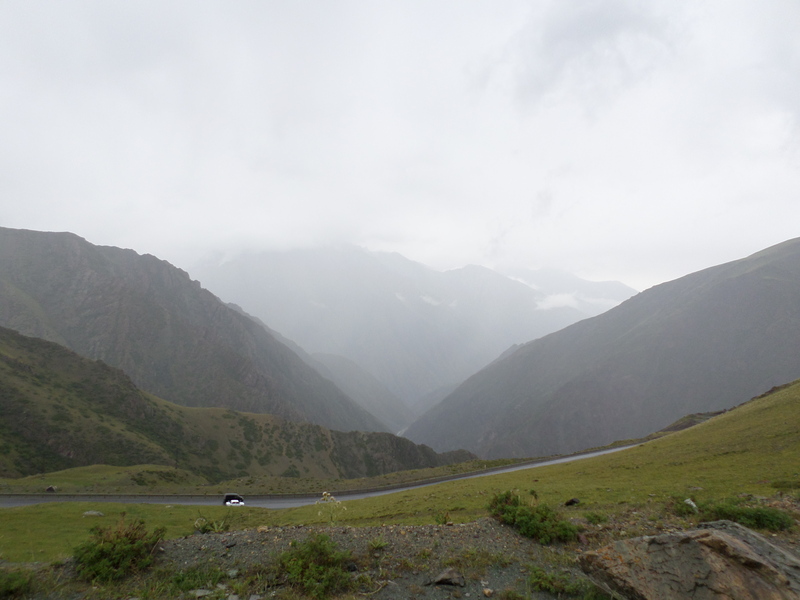 Despite the difficulties the weather presented, it was nothing compared to the dangers posed by Kyrgyz drivers. After only a week of cycling, they have run away with the award for the most dangerous and inconsiderate drivers of the trip. It was not uncommon for us to have veer off the road several times a day in order to avoid cars that were completely filling our side of the road. Similarly, it was common for drivers to pull out in front of us, as if we didn’t exist. However, my favourite maneuver has to be the “Hairpin Overtake”. This consists of a car beginning to overtake at the start of a hairpin bend and only completing the overtake once back on the straight. 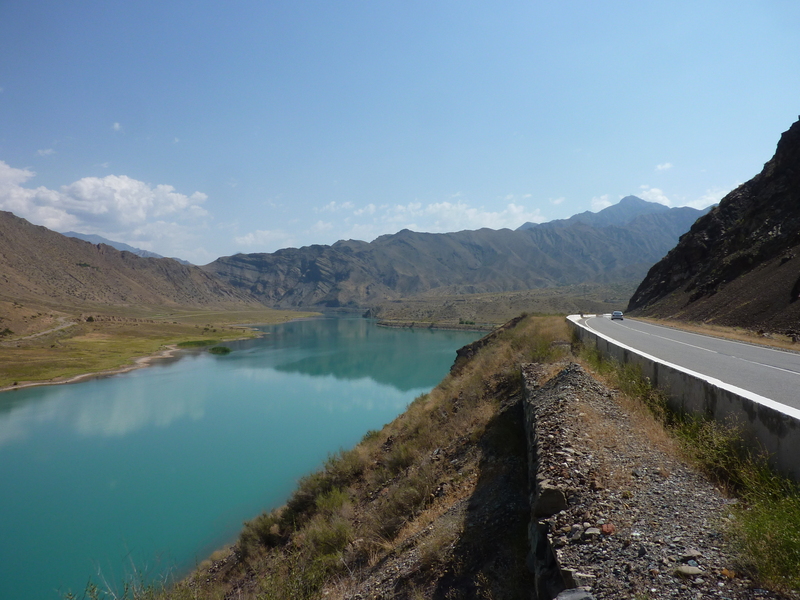 It epitomises the Kyrgyz driving mentality – not only dangerous, but pointless, too. Fortunately, we survived the best attempts of Kyrgyz drivers to kill us and arrived safely in Bishkek, seven days after leaving Osh. Unfortunately, a fresh challenge cropped up for me, within days of our arrival. My plan had been to continue cycling. First to China, then Korea, and afterwards (hopefully) the USA. Bishkek, I had been assured by many people, was the best place to get Chinese visas in Central Asia. It was. Emphasis on “was”. From last week, Chinese visas can now only be issued to citizens or residents and this policy is thought to apply to all of Central Asia, possibly the world. Josh getting sentimental about his last night in the tent. Therefore, in one afternoon, my quest to continue eastwards was thrown into disarray. Russia enforces the same policy and no other country in the region is safe to cycle through. Luckily, I had been nursing this crazy idea about island-hopping through Southeast Asia for a while. I also quickly discovered you could fly cheaply to India and then from India to Thailand. From this information, a new plan emerged and, subject to getting an Indian visa, I will be heading to New Delhi in a couple of weeks. For more information about my intended route check out the updated route page. Keep on pedalling! Insanely jealous of your exploits. Ha ha! I will definitely keep on pedalling – the desire is still there. I have been in Bishkek a week now and I’m itching to get back on the bike. go rob go….. every success on your trip. hope you keep everyone informed of your progress in some way or other. you had better do some personal grooming before you go any further josh! they may not let you into their country! prepare to be stared at!